Brooke Merchant of Bayfield High School scores a basket as the buzzer sounds ending the first half while playing the Mean Moose of Alamosa on Tuesday night at BHS. Cayanne Carlson of Bayfield High School boxes out for a rebound while playing the Mean Moose of Alamosa on Tuesday night at BHS. 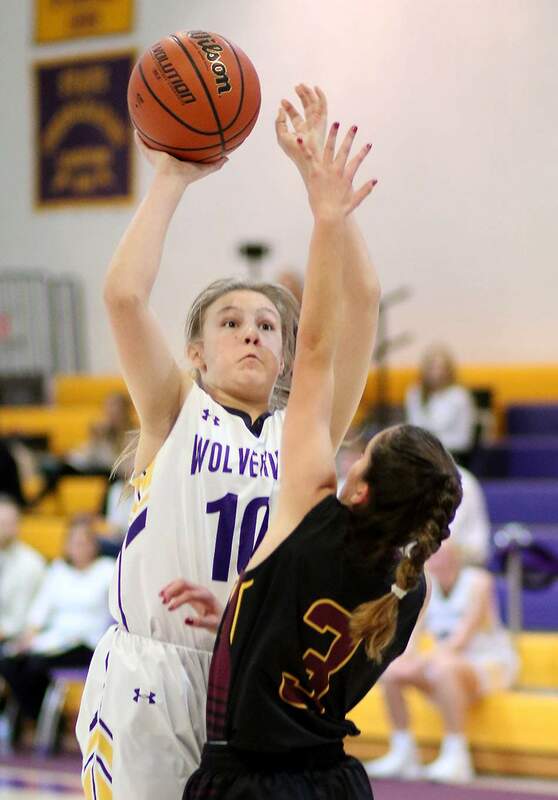 Maddy Oltmanns of Bayfield High School puts up a shot over the Mean Moose of Alamosa on Tuesday night at BHS. 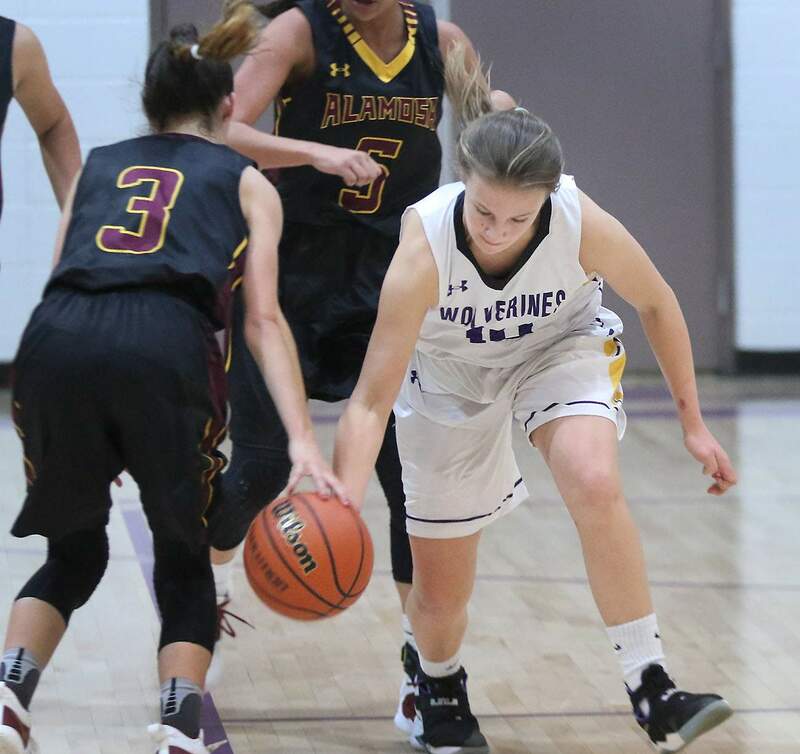 Cayanne Carlson of Bayfield High School tries to steal the ball while playing the Mean Moose of Alamosa on Tuesday night at BHS. Tymbree Florian of Bayfield High School drives to the basket while playing the Mean Moose of Alamosa on Tuesday night at BHS. 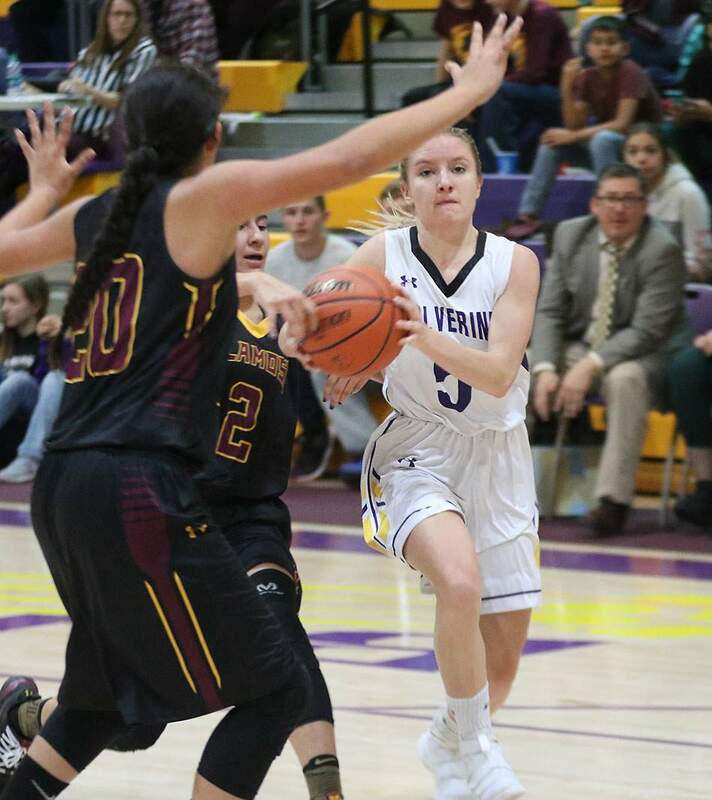 Aubree Farmer of Bayfield High School drives to the basket while playing the Mean Moose of Alamosa on Tuesday night at BHS. 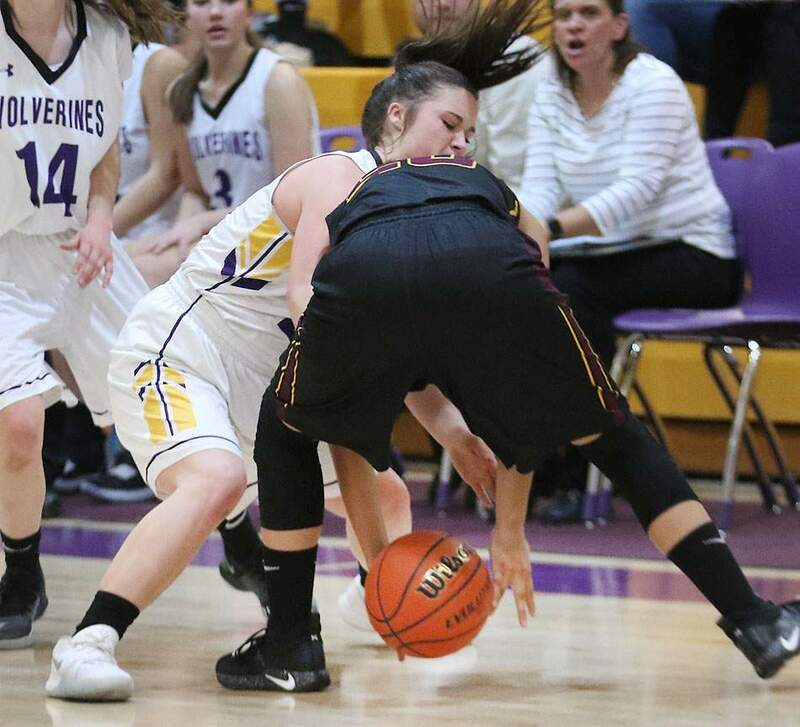 Maddy Oltmanns of Bayfield High School steals the ball from a Mean Moose of Alamosa player on Tuesday night at BHS. 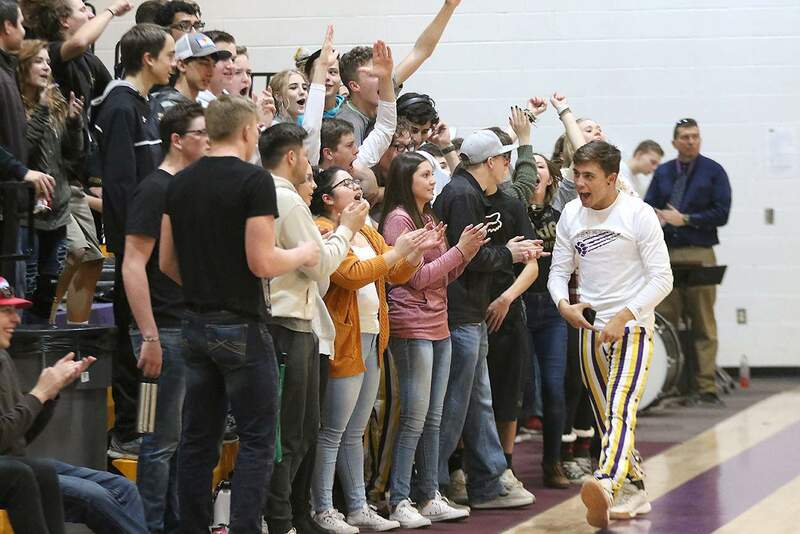 Fans go crazy after Brooke Merchant of Bayfield High School scores a basket as the buzzer sounds ending the first half while playing the Mean Moose of Alamosa on Tuesday night at BHS. 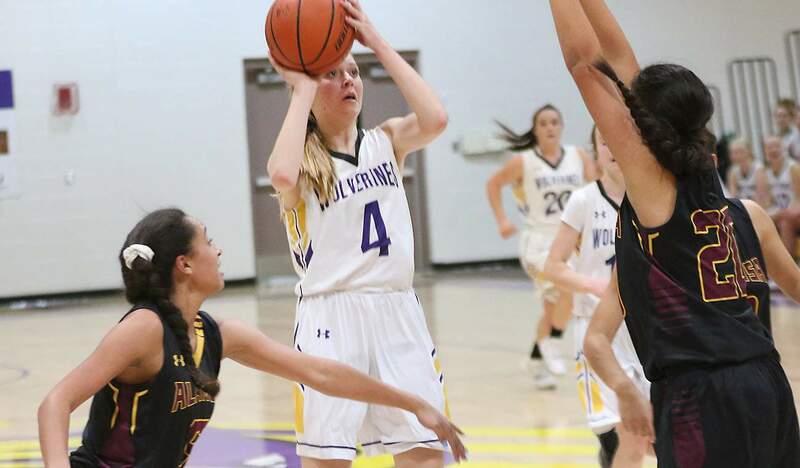 It took two minutes in Tuesday night’s girls basketball game between Bayfield and Alamosa for either team to score. The Wolverines got off to a quick 2-0 lead, and Brooke Merchant extended the lead to 5-0. 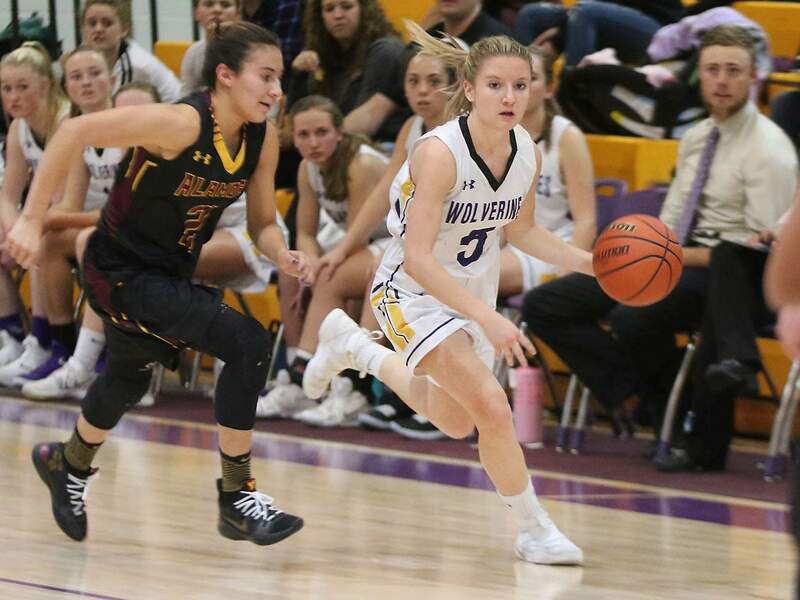 Once the Lavier sisters started scoring, the Wolverines’ lead quickly evaporated, and they would never lead again, as Alamosa cruised to a 63-30 win. 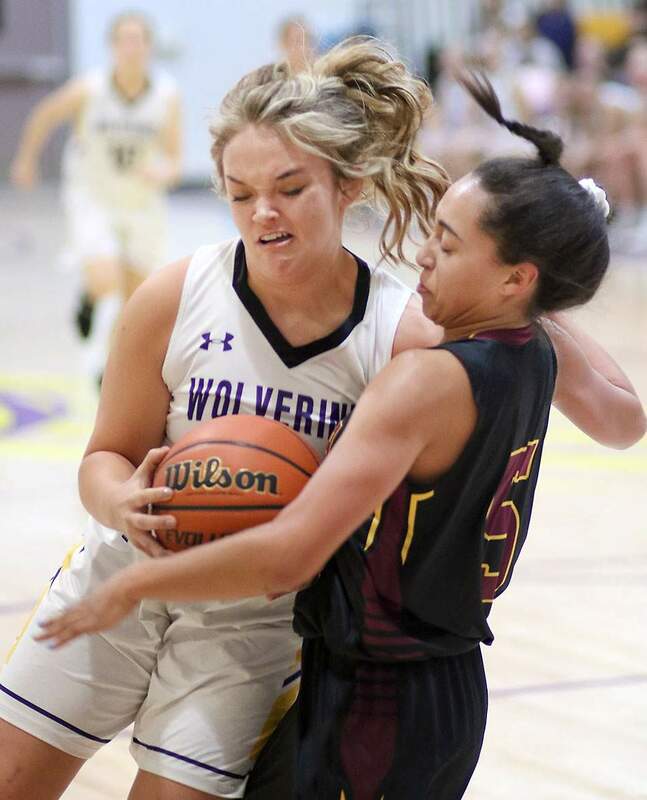 Bayfield (5-6, 2-2 3A Intermountain League) head coach Josh Kitchen said Alamosa’s speed and quick transitions made it tough to stop despite forcing 20 turnovers by halftime. The Mean Moose (9-4, 3-1 IML) were able to make the most of fastbreak opportunities and outscored the Wolverines 27-8 in the second quarter to get out to a commanding lead. Alamosa coach Shawn Cody thought his team’s fastbreak chances were reminiscent of what he’s seen all season. “I was very nervous after the first quarter,” Cody said. “I felt like our pressure really picked up in that second quarter, because we were really on our heels there after the first. But once we got going, we must’ve shot at or above 50 percent from the field. We picked up our defensive intensity a little bit, and I really liked our effort. Bayfield was led by Merchant, who scored 11 points, including a buzzer-beater to end the first half. Macee Shultz had eight BHS points. 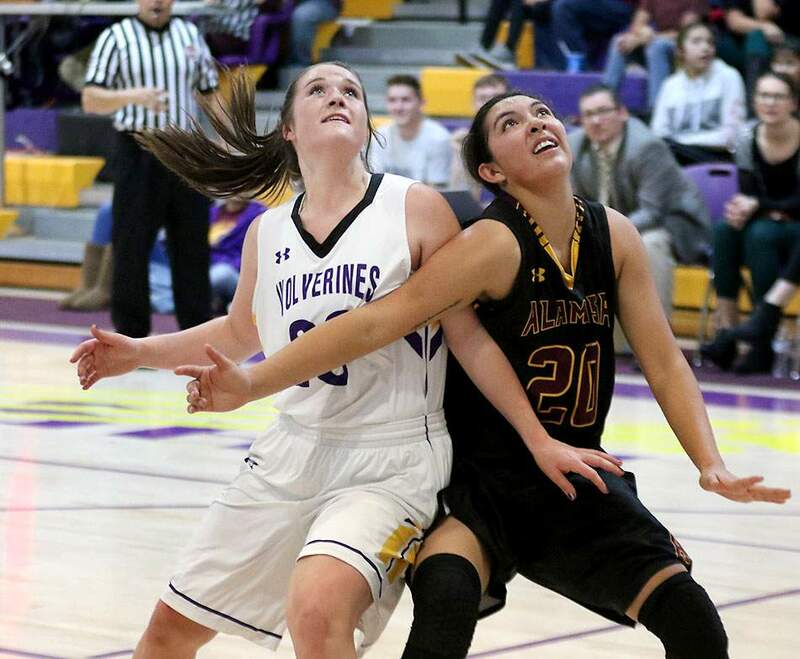 Emily Lavier led Alamosa with 15 points, while her sister Lily finished with 13. Bayfield will travel for a game at 5:30 p.m. Friday at Pagosa Springs.